I felt like the book was dragging. We already knew how the story was going to progress and how it was going to end. That was not the problem. The problem was it took too long to get there. 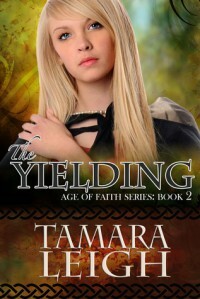 If this is your first Tamara Leigh book you'll like it. Personally I loved the first book in the series (The Unveiling). I don't think I have the patience to read Gaenor's story (the third book) though.